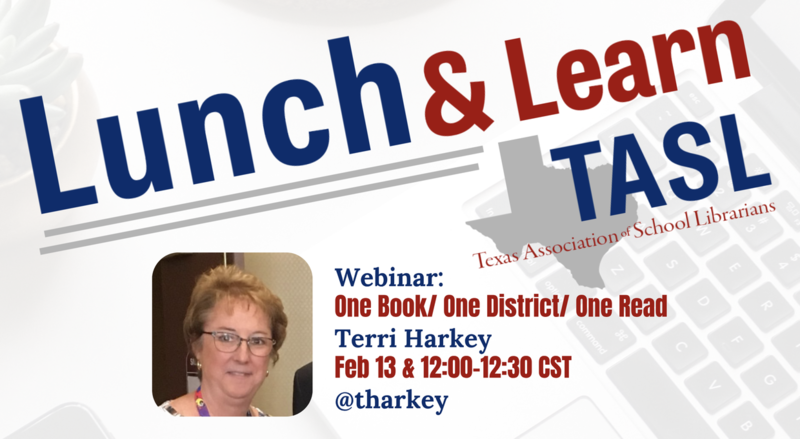 Join us as we look at how Prosper ISD created a successful One Book/One District/One Read program. We will explore picking the book or topic, finding an end product/project and what we learned along the way. TASL Lunch & Learn webinars are free. If you are not able to attend the webinar live, you can still register and you will be sent a link to the recorded video of the webinar.